A lot has changed for me this past year, but one thing that has remained constant is the large role books have played in my life. 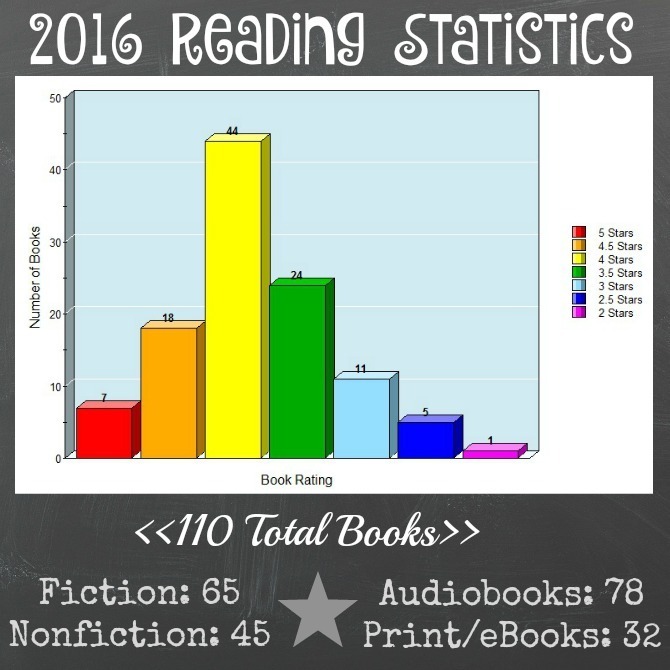 Over the last twelve months I read or listened to 110 books from a wide variety of genres. 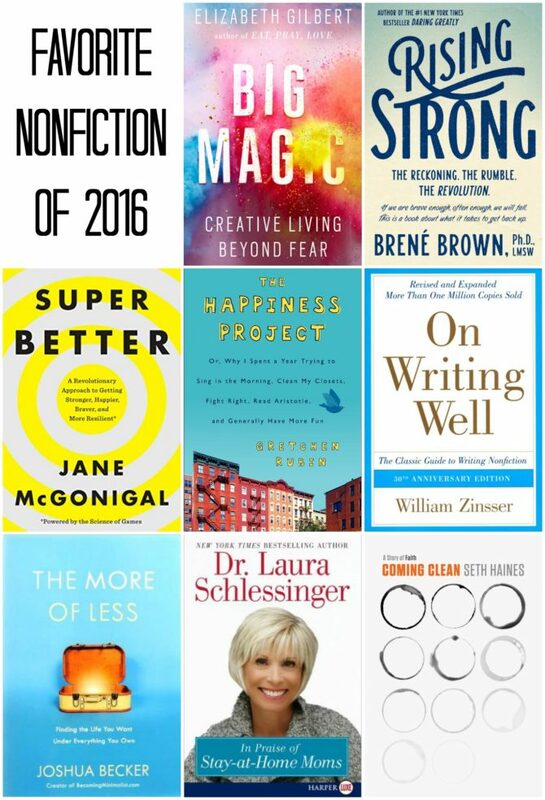 Twelve of these books were read as a part of my 2016 Reading Challenge, which I’m happy to say was a huge success! I loved that the challenge prompted me to read slightly out of my comfort zone without confining me to specific titles (a mistake I made when setting my reading goals in 2015). 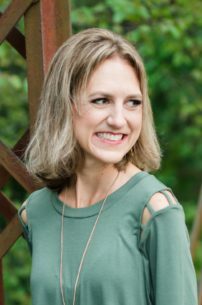 I also benefited from the accountability of sharing my challenge books here on the blog. I’m already making plans for a new Reading Challenge in 2017 and am looking forward to sharing the details with you in a few weeks! More than two-thirds of the books I “read” this year took the form of audiobooks. I generally enjoy the books I read more than those I’ve listened to, but the convenience of audiobooks works so much better in my current life stage that I won’t be giving them up any time soon. However, one of my goals for next year is to physically read a greater percentage of my books, even if this means having a lower total book count. Narrowing down this year’s books to just twenty favorites was extremely difficult because I genuinely enjoyed nearly all of the books that I read this year. I had particularly good luck with fiction: I returned to a few old favorites, discovered several new authors, and read at least three novels that I immediately added to my list of all-time-favorites. On the nonfiction front, I explored some new and challenging topics and encountered some truly amazing writing (which doesn’t always happen outside of fiction). In compiling this list of favorites, I made my task slightly easier by ommitting books that I’d read at least once prior to this year. (Had I chosen to include rereads, my list of 2016 favorites would have also included Harry Potter and the Sorcerer’s Stone, All I Really Need to Know I Learned in Kindergarten, and All the Light We Cannot See.) I also kept this list to those books that left the deepest impression on me, and not necessarily those that I rated most highly just after reading them. 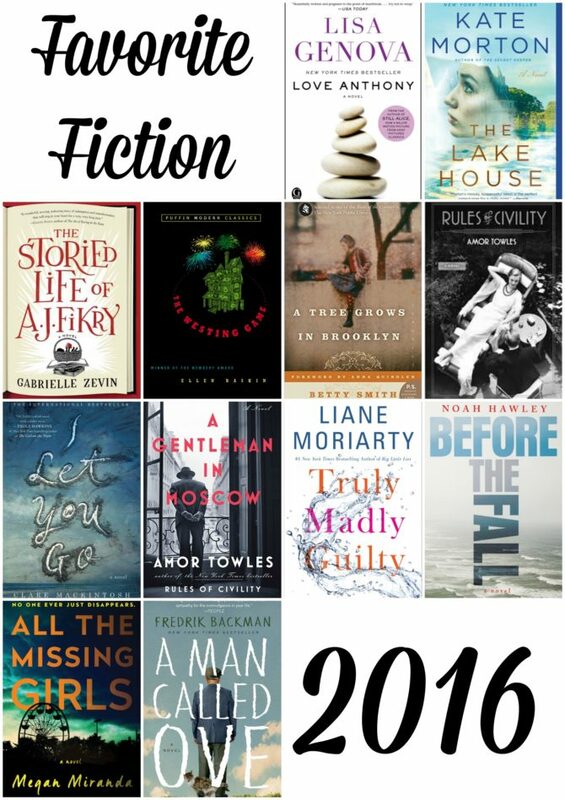 All twenty titles on this list are books I truly loved and would eagerly recommend. Here they are, divided into nonfiction and fiction and listed in the order in which I read them. What did your reading life look like this year? Did you meet all of your reading goals? 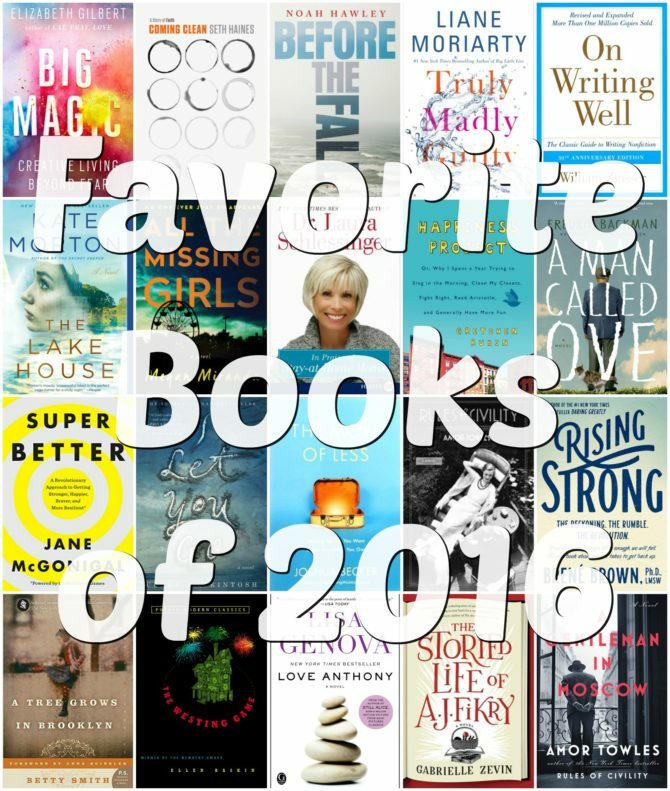 What were your favorite books of the year? Most importantly: what books should be on my TBR list for 2017?